Testing, data collecting and data analysis are probably the three major daily tasks for most reliability engineers. How to utilize the modern database and Internet technology to manage the testing, data collecting and problem solving process across multiple departments is a challenging issue that many organizations are facing. XFRACAS, a web-based Failure Reporting, Analysis and Corrective Action System (FRACAS) by ReliaSoft, provides an organization-wide platform that connects all the reliability-related management and analysis activities together. In this article, we will briefly discuss the history and the role of the FRACAS in a reliability program. FRACAS stands for Failure Reporting, Analysis and Corrective Action System. The FRACAS process originated from the defense and aerospace industries in the 1970s. It was an essential element in the early and sustained achievement of the reliability and maintainability potential inherent in military systems, equipment and associated software. Since the late 1970s and through the 1980s, major players in defense, aerospace, automotive and telecommunications worldwide invested millions of dollars to develop and support in-house FRACAS-related software. In 1985, the MIL-STD-2155 standard was created with the intent to standardize the scope, definition and implementation of the FRACAS process. Recording and capturing information about failures and problems. Identifying, selecting and prioritizing failures and problems. Identifying, implementing and verifying corrective actions to prevent recurrence of failures. Providing information from failure analysis and corrective actions in order to support reliability data analysis. Providing report summaries of incidents counts, and providing data used for reliability and quality metrics. 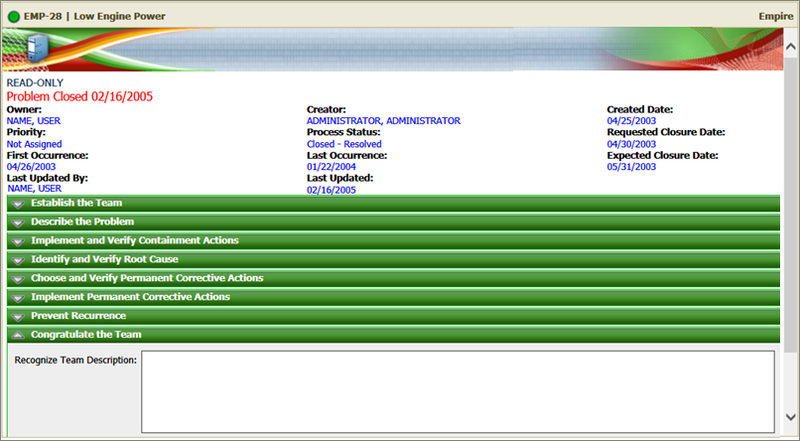 As an example, the following screenshots show portions of the failure/incident reporting page from ReliaSoft’s XFRACAS software tool. This web-based interface is highly configurable. Organizations can add, remove and define fields based on their own needs. Provides engineering data for corrective actions and preventive actions. Identifies developing patterns of deficiencies. Provides failure data for reliability analysis. Helps avoid recurrence of failures in future designs. Provides a centralized location for lessons learned, helping to reduce time and effort for resolving both individual incidents as well as problems. It is essential for Quality/ISO certifications and audits. Initial product design/redesign to identify and eliminate known issues. In-house development testing to improve the product, process or service. Production and operations to increase efficiencies. Capital equipment installation, reducing costs and time. Product support in the field (end-user/customer). With the advancement of computer technology, FRACAS has evolved from a paper-based single-person tool to a web-based multiple-user system. 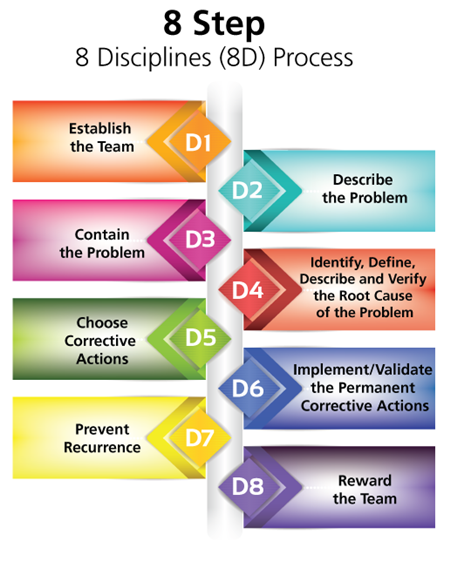 It is also no longer limited to simple failure reporting, analysis and correction, because it can be integrated with formal problem resolution methods such as the "8 Disciplines" (8D) approach. 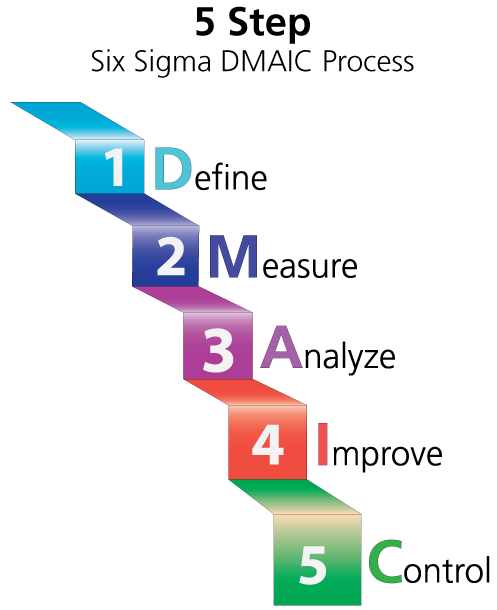 There are also other standard methodologies such as 6-Sigma’s 5-step DMAIC methodology, and a variety of 4-step methods. As an example, the following picture shows how the 8D methodology can be implemented in ReliaSoft’s XFRACAS tool. The figure shows the Problem Report interface, which provides a flexible framework for team-based problem resolution. With this approach, you can assign multiple incident reports to a single problem. This enables you to resolve the underlying problem, which addresses all related incidents and improves the design and/or process to prevent similar problems from occurring in the future. 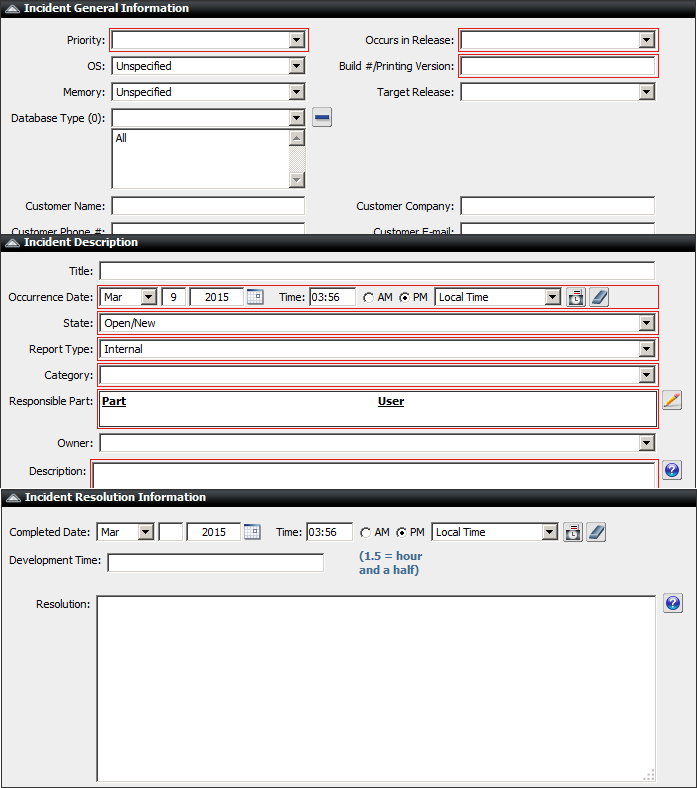 The Problem Report interface can be customized to support any problem resolution methodology. XFRACAS can also be configured to capture the details of failure analysis investigations. This gives a complete record of your organization's response to a particular failure. ReliaSoft's Weibull++ and RGA software applications are integrated in XFRACAS, enabling you to easily use the failure data to perform reliability analysis. XFRACAS also provides database features such as querying, tracking and reporting. You can easily track the progress of projects and uncover bottleneck problems, as well as track the status of each team member's current tasks. In addition to the system’s powerful closed-loop action management capabilities (automated e-mail notifications, easily generated status reports, etc. ), XFRACAS allows you to create checklists, link or attach related documents, query the "knowledge base" of past issues/solutions and identify stages (gates) that require formal review/approval. Tailor the FRACAS system to meet your specific needs. 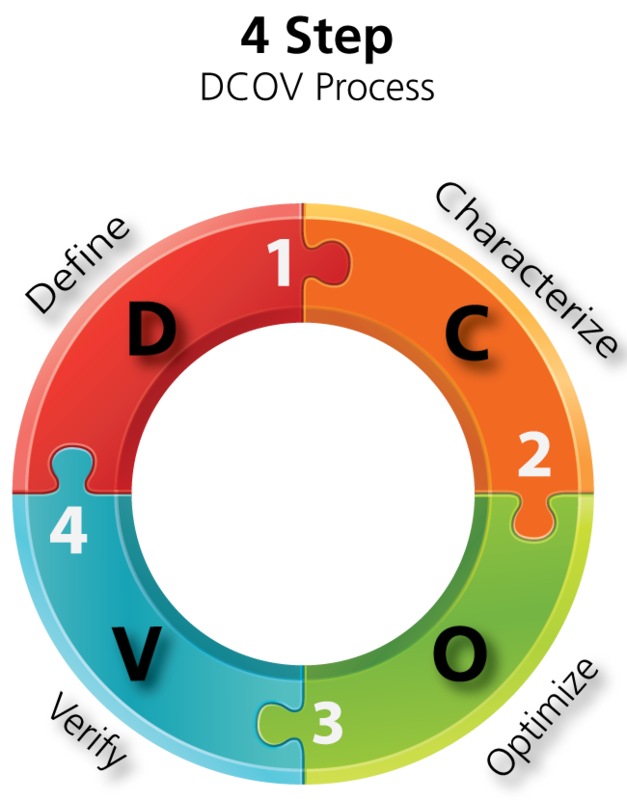 Define and develop your FRACAS process and educate your teams. Ensure there is a clear distinction between incidents and problems. At a minimum, provide support for incident reporting and resolution, failure analysis and problem resolution. When possible, strive to create a data repository of lessons learned and reliability data to support further analyses. IT Issues: Many organizations already have systems in place that have some functions related to FRACAS. However, most pre-existing systems were not designed for solving reliability- and quality-related issues and so do not provide a closed-loop problem resolution process. For example, it is sometimes not easy to convince IT departments to implement a full FRACAS system due to the inherent resistance, security and resource concerns. Organization Issues: During the FRACAS process, various functional groups can be involved. In many cases, the interactions of these groups can be very complex and competitive. For example, one group may assign an incident or action to another group, with the latter group assigning the incident or action back to the original group or to another group, making the resolution of the incident an "infinite" loop. Undefined Goals: It is crucial that goals and expectations are clearly defined before embarking on a FRACAS system implementation. Any constraints (cost, data availability, etc.) should be analyzed in order to determine how thorough the FRACAS process should be. Change involves changes in the culture, the people and the processes; make sure you address all three. Demonstrate implementation benefits to all parties involved and get management support. Get everyone on board as early as possible to minimize the perception that the change is against them and to include their wants and needs in the system requirements. Training different groups will help the entire organization see the benefits and get "buy-in." Perform ROI studies and get results of surveys and case studies that show reduction in costs, improved efficiencies, improved customer satisfaction and improved market share. If the required support is not present, start small with a proof of concept implementation that can grow as it demonstrates success. In this article, we discussed the benefits of the closed-loop incident resolution process of FRACAS. Using ReliaSoft’s XFRACAS tool, you can set up a formal process for reporting, analyzing and resolving reliability-related issues during the product life cycle. XFRACAS now is part of ReliaSoft’s Synthesis Platform. It can seamlessly work with ReliaSoft’s other applications such as Xfmea, Weibull++ and RGA. Correctly using FRACAS will benefit the entire origination by speeding up the development process, reducing waste, accumulating useful information and making final products more reliable. However, implementing a FRACAS system involves multiple functional departments and, sometimes, a need to change the company’s culture. It may take years and support from management to make the implementation successful.